Windows 10 downloads Windows Updates quite regularly. These updates can sometimes consume a lot of bandwidth. If you have a crappy internet connection, the chances are that you would like to know at what speed are these updates downloading on your PC. While the windows updates are downloading, my internet just stops working. I’ve got a 4MBps connection and every two weeks when Microsoft releases some update; I have to spend a few hours waiting for them to download. I don’t have a solution for your slow internet, but I’m here to tell you how can monitor the download speed of updates in Windows 10. A tool you can use to check the update download speed is Glasswire. It’s a network monitoring tool which has a firewall. You can use this firewall to view, block and limit (in paid version) how an application connects to the internet. Of course, you can use the Task Manager to see how much bandwidth the programs are using up. But that doesn’t tell you how much bandwidth a particular application is taking. 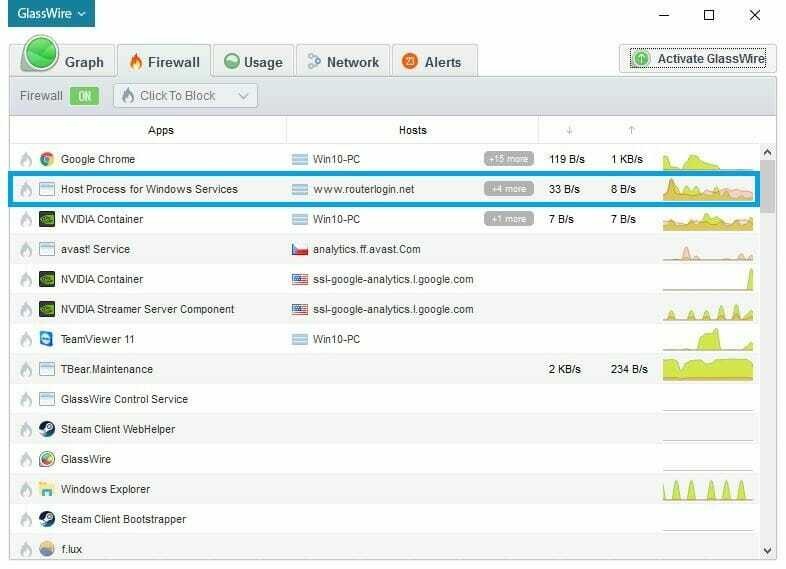 Before I tell you why to use Glasswire over the Task Manager, just head over to the Task Manager and open the Performance tab. Select Ethernet or Wi-Fi (whichever you are using currently). 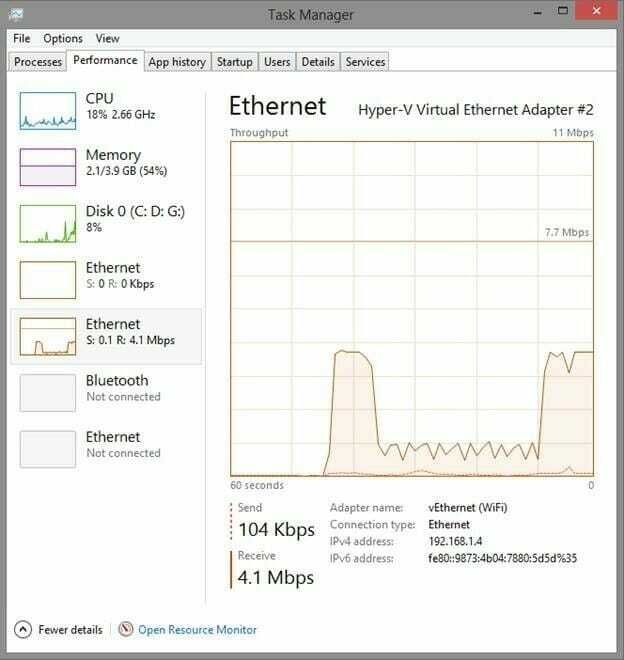 You’ll see that the Task Manager only shows how much bandwidth is being used. There is no information about what app or process is using the bandwidth. Or whom the app is connecting to. There is no information about what app or process is actually using the bandwidth or whom the app is connecting to. Even in the Processes tab, you can sort the apps by Network usage, but still, you won’t get the proper listing of which apps are using what data. This is where you need a tool like GlassWire. It is free to use, though there is a paid version too, you don’t need that for checking Windows update download speed. It is free to use, though there is a paid version too, you don’t need that for checking Windows Update download speed. Now, look at the GlassWire app. In the Firewall Tab, you can see an app listed “Host process for Windows services”. This is the one responsible for downloading Windows updates. In addition to that, you can also see which Hosts the app is trying to connect while downloading stuff. As you can see in the screenshot, Nvidia is trying to send some analytics to Google even though I have not enabled analytics on my PC. Quite shady, IMO. Similarly, you can see the network usage of all the apps installed on your PC. You can download Glasswire on your PC from their official website. It is also available on Steam. Resource monitor does this natively, you can fairly easily trace out via the network details. Sorting CPU, Network, and Disk i find works great.